“It’s amazing. I’ve known Serena since we were 8 or 9 years old. To see her go from the girl I used to practise next to all the time to become this icon – and not just one of the greatest women athletes of all time, but one of the greatest athlete of all time, it’s amazing,” Roddick said in his interview with ESPN. “I don’t think it is a question. I think it is a matter of correcting rhetoric. Saying she’s the best women athlete shouldn’t be taken as offensive as long as she’s in the conversation with the greatest male athlete of all time as well. We need to enter her into the conversation with Jordan and Ali,” Roddick quipped. 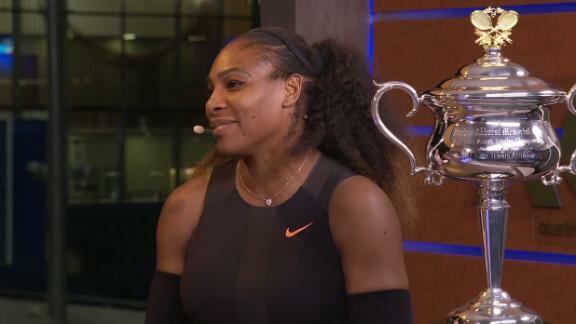 Serena has showed no signs of slowing down anytime soon despite her age, and it is more amazing considering that she has been in top form for so long.